Life is good! We are growing little by little with each ordering cycle and there are more inquiries from interested families each week. Check out these pictures of recent deliveries! 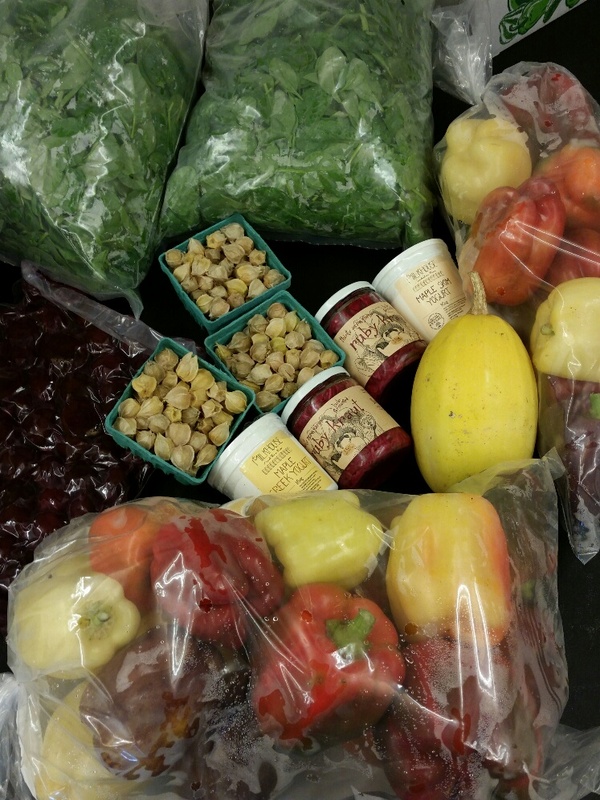 Husk cherries, ruby kraut, organic spinach, gorgeous bell pepper mix, spaghetti squash and baby beets that have been cooked, peeled and chilled for delivery! Oh yeah…oh yeah! 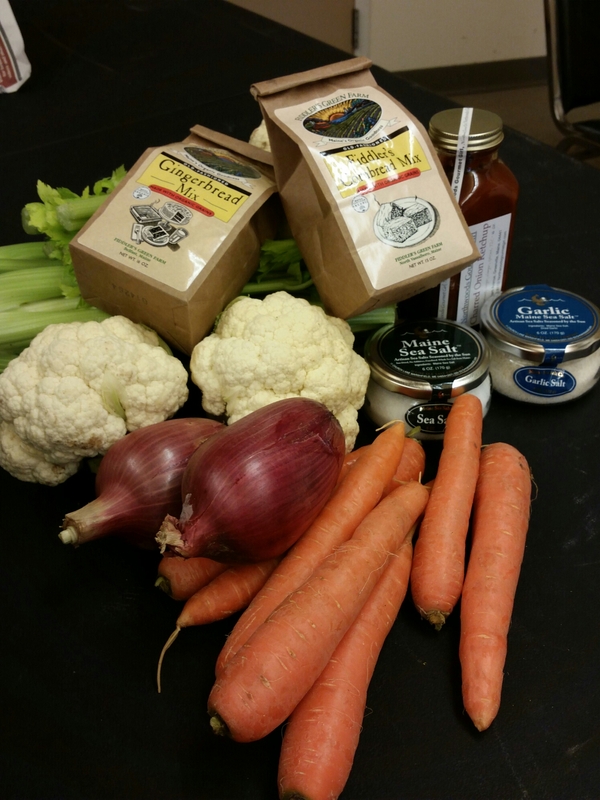 Who doesn’t love organic celery, cauliflower, red onions and carrots. We also received MAINE sea salt plain and garlic infused as well as baking mixes made with Maine grains! Maine cheese! Fresh Maine cranberries with awesome color. There’s that Maine sea salt again…this time in a grinder. 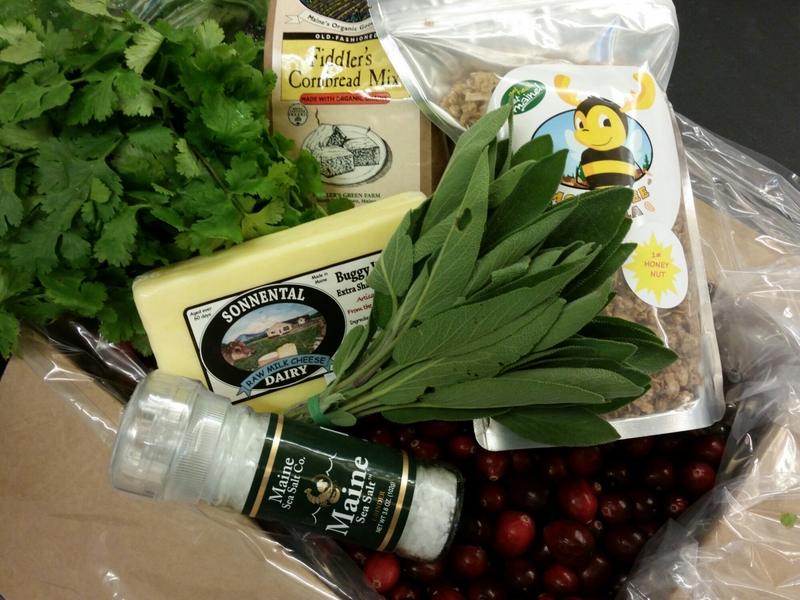 Fresh cilantro and sage and granola from Greenville…amazing products practically from your backyard. What are you waiting for? Join today!